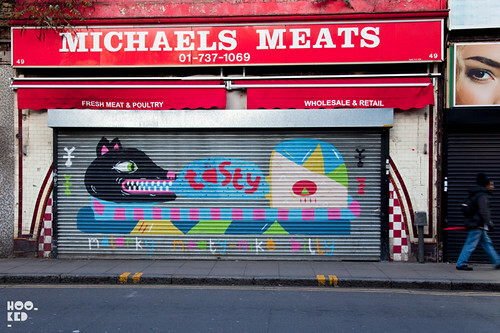 Here is a small collection of shutters that we at Hookedblog photographed over the last week, some of them are pretty recent additions to the streets and other like the Malarky and Billy 'Tasty Meats' one in Brixton pictured below, has been running for just over a year and we have just managed to find it! 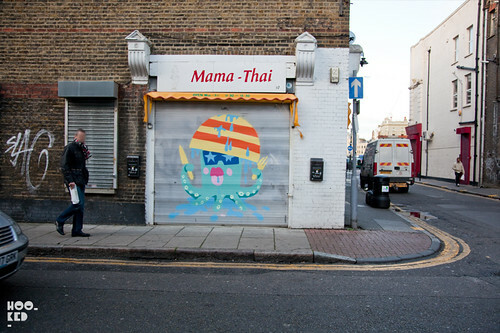 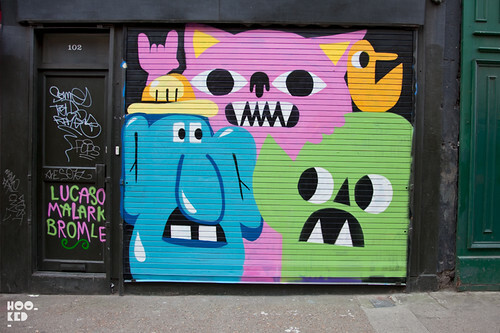 Pictured above on Sclater Street just off Brick Lane is a shutter featuring Lucas, Bromley and Malarky. 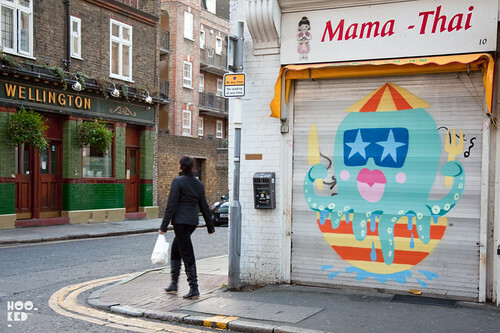 Ronzo on Toynbee Street near Petticoat Lane Market. 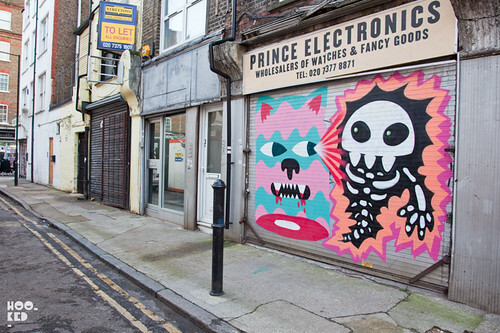 Malarky and Ronzo — near Petticoat Lane Market Malarky and Billy — Brixton Another Ronzo again on Toynbee Street. This blog-post is all about the lifting equipments.These are used in lifting different materials.Nice post.Thank you so much.